“Tall buildings cannot be avoided in our times. The choice we have is whether to control them or else whether to put up with their future growth.” These were the concluding comments of a report drawn up by Professor Mir Ali from the University of Illinois at Urbana-Champaign USA after a visit to Malta in 2008 during which he met with and advised MEPA on the future of tall buildings in Malta.The report is entitled Urban Design Strategy Report on Tall Buildings in Malta. Professor Ali’s report contains recommendations most of which are as relevant today as when they were originally drafted. Central to these recommendations, way back in 2008, was the need to draw a master plan addressing tall buildings and their impacts. “Lack of a master plan,” Professor Ali stated, “results in uncontrolled developments and unpredictable impacts on urban life.” The developed master plan, Prof. Ali emphasised, should be “for Malta as a whole and for the selected sites for tall buildings, individually.” Drawing up such a master plan with a reasonable level of detail will take time to carry out, a considerable portion of which should be utilised in consultation, primarily with the residents to be impacted. Certainly much more time would be required than the November 2016 target indicated by the government earlier this week. A moratorium on the issuing of any development permit for high-rises until such time that a master plan has been discussed and approved would be a very reasonable course of action. Professor Ali considered six sites, which were indicated to him by MEPA, as having the potential of hosting high-rise development. He proposed the following rank order : Qawra, Gżira, Tignè, Paceville, Pembroke and Marsa. Such a ranking order by Prof. Ali is qualified by an emphasis on the substantial infusion of public monies which is required. Prof. Ali commented that if the number of sites are reduced to less than six it would be much better for Malta. Professor Ali made a number of incisive remarks. There is a need for an objective market and feasibility study for each project, which study should include the life cycle cost of the project. In view of the high vacancy rate of existing residential units, Prof. Ali queried the kind of occupancy expected of high-rises. Failure of high-rises will impact the economy of the whole of Malta which has no safety valve because of its size and lack of adequate elasticity, he stressed. Infrastructural deficiencies must be addressed. If the existing infrastructure is inadequate or in a state of disrepair it must be upgraded and expanded to meet future needs. Tignè residents in Sliema have much to say about the matter, not just with reference to the state of the roads in the area but more on the present state of the public sewers! Residents of the Tignè peninsula are not the only ones who urgently require an upgrade of their infrastructural services. Residents in many other localities have similar requirements. 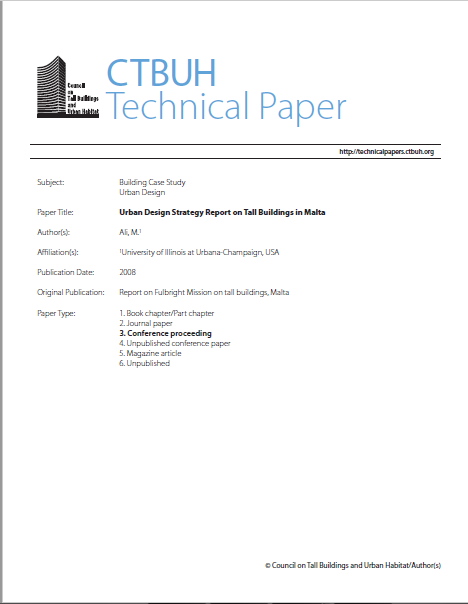 Social and environmental impacts of tall buildings must be considered thoroughly at the design stage. However Maltese authorities have developed the habit of ignoring the social impacts of development projects. In addition, it is very worrying that, as reported in the press earlier during this week, Prime Minister Joseph Muscat does not seem to be losing any sleep over the matter. People living in a low-rise environment consider high-rises as intrusive. Unless public participation is factored in at a very early stage through planned beneficial impacts on the community in terms of economic benefits, upgrade of services and the general benefits of the redevelopment of the surroundings, such projects do not have a future. The upkeep of high-rises is quite a challenge which requires skills that are different from low-rise buildings. Notwithstanding changes to the relevant provisions of the law, there already exist serious difficulties in bringing together owners of low-rise multi-owned properties in order that they can ensure that maintenance of such properties is addressed. The challenge of high-rises is exponentially more complex. The above is a snap-shot of Prof. Ali’s report. From what I’ve heard from a number of people who met Professor Ali, he was more vociferous in his verbal utterances. Unfortunately, his advice has been largely ignored. By carmelcacopardo  Posted in environmental impacts, Gżira, high rise buildings, infrastructure, life cycle cost, Marsa, master plan, MEPA, Muscat Joseph, Paceville, Pembroke, Prime Minister, Professor Mir Ali, public participation, public transport, Qawra, social impact, tall buildings, Tigné, Urban Design Strategy Report on Tall Buildings in Malta.  Tagged environmental impacts, Gżira, high rise buildings, infrastructure, life cycle cost, Marsa, Masterplan, MEPA, Muscat Joseph, Paceville, Pembroke, Prime Minister, Professor Mir Ali, public participation, public transport, Qawra, social impacts, tall buildings, Tigné, Urban Design Strategy Report on Tall Buildings in Malta. X’inhu ġej fl-ajruport tal-Gudja fl-2016? 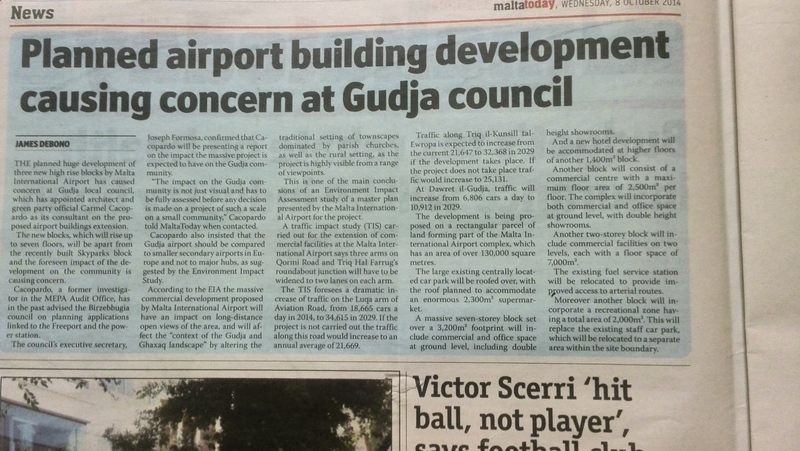 Il-bieraħ tħabbar “investiment” fl-ajruport tal-Gudja. 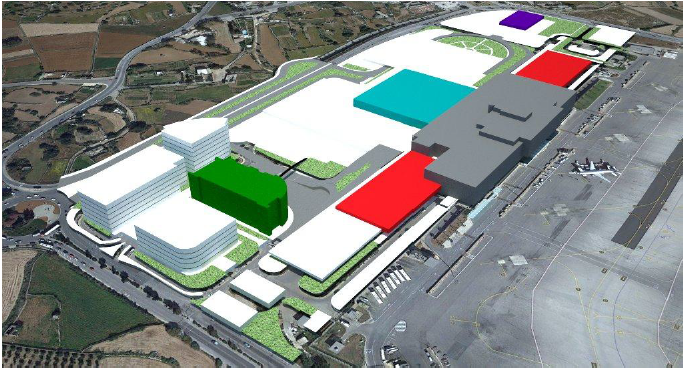 Qed jintqal li ser isir investiment ta’ €78 miljun fil-ħames snin li ġejjin biex jitkabbar it-terminal, jinbena blokk ieħor ta’ uffiċini għall-kiri (Skyparks2), lukanda kif ukoll żieda fiż-żona ta’ parkeġġ. 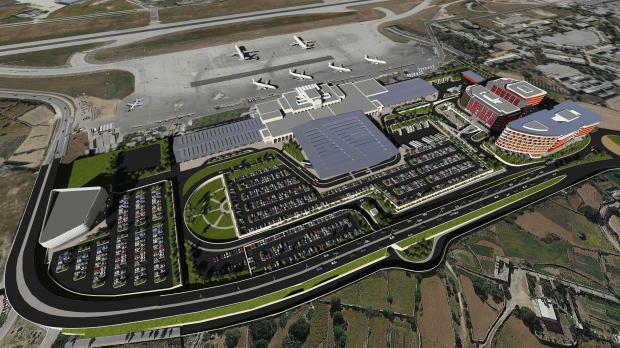 Is-sena l-oħra kellna l-Masterplan tal-airport fl-aħbarijiet li fih kien hemm proposti iktar estensivi. Il-proposti dakinnhar kienu jinkludu ukoll supermarket. Dan is-supermarket ma ssemmiex il-bieraħ imma fir-ritratti ippubblikati xorta jidher! Ħadd ma jiddubita li t-terminal tal-ajruport qed isir żgħir. Issa ilu użat 24 sena u bil-kwantità ta’ nies li ġejjin u sejrin minn Malta jidher li wasal iż-żmien li jikber. Imma tajjeb li jkun hemm iktar informazzjoni dwar dak li hu ippjanat għat-terminal: x’inhuma l-miri dwar il-kapaċità tiegħu? X’effett ser ikollu dan fuq iż-żoni residenzjali tal-madwar, b’mod partikolari fuq it-toroq? Huwa ippjanat li l-airport jintuża ukoll bil-lejl? Kif hu mistenni li dan kollu jeffettwa lil dawk iż-żoni residenzjali li minn fuqhom jitilgħu jew jinżlu l-ajruplani? Intqal li hu mistenni li jkun hemm deċiżjoni dwar l-applikazzjonijiet neċessarji matul l-2016, u allura dawn jidhru li ser ikunu uħud mill-issues prinċipali quddiem l-Awtorità tal-Ippjanar il-ġdida, s-sena d-dieħla. ara ukoll fuq dan il-blog: L-irħula madwar l-ajruport ta’ Malta. Il-Malta Today illum irrappurtat dwar l-iżvilupp propost fl-Airport Internazzjonali ta’ Malta. Hemm applikazzjoni pendenti għal Masterplan li tinkludi diversi binjiet. L-impatti ikkawżati minn dan l-iżvilupp ser ikun sostanzjali fuq il-komunitajiet madwar l-Airport u ċjoe fuq l-irħula ta’ Ħal-Luqa, l-Gudja, Ħal Kirkop u Ħal-Safi. L-iżvilupp propost ser jiġġenera ħafna iktar traffiku fid-direzzjoni tal-ajruport u per konsegwenza iktar tniġġiż tal-arja. L-airport ta’ Malta hu airport ta’ pajjiż żgħir, daqs wieħed reġjonali fil-kontinent Ewropew, u ma jagħmilx sens li jkun fih facilitajiet bħall-ajruporti l-kbar tad-dinja. Il-facilitajiet provduti għandhom ikunu kompatibbli mad-daqs żgħir tal-pajjiż. Għandhom ukoll jieħdu in konsiderazzjoni li tefa ta’ ġebla l-bogħod hemm erbat irħula li fihom hemm diversi negożji żgħar. Kif ser jiġu effettwati dawn in-negozji żgħar? Din mhix biss materja ta’ kompetittivita’, imma fuq kollox hi materja ta’ infrastruttura ekonomika u soċjali fl-irħula tagħna li bi proġetti bħal dawn ser titmermer b’rata aċċellerata. Fil-ġranet li ġejjin jagħlaq iż-żmien ta’ konsultazzjoni pubblika dwar ir-rapport li jikkonsidra l-impatt ambjentali. Imbagħad ikollna ċans li niddiskutu dan il-proġett f’iktar dettall. L-ibliet u l-irħula tagħna għandhom bżonn inkoraġġiment biex isaħħu l-infrastruttura ekonomika u soċjali. L-iżvilupp veru ma jkissirhomx iżda jagħihom is-saħħa.